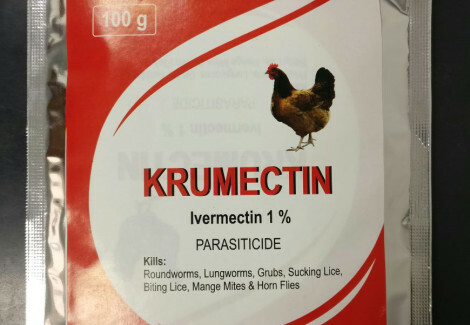 Broad spectrum resistance effect, safe application to varieties of animals. Anti-stress agent, reduce body stress during the insecticidal process. 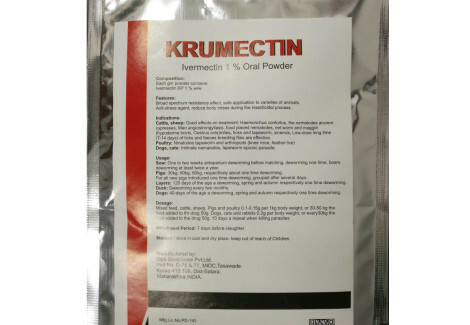 Cattle, sheep: Good effects on treatment: Haemonchus contortus, the nematodes ancient cypresses, Mao angiostrongyliasis, food placed nematodes, net worm and maggot (hypoderma bovis, Oestrus ovis)mites, ticks and tapeworm, sinensis, Low-dose long time (7-14) of ticks and faeces breeding flies are effective. Dogs, cats: Intimate nematodes, tapeworm epizoic parasite. Sow: One to two weeks antepartum deworiming before matching, deworming noe time, boars deworming at least twice a year. Pigs: 30kg, 60kg, 80kg, respectively about one time deworming. For all new pigs introduced one time deworming, grouped after several days. Layers: 120 days of the age a deworming, spring and autumn respectively one time deworming. Duck: Deworming every two months. Dogs: 40 days of the age of deworming, spring and autumn respectively one time deworming.